FIRED UP after our TURBO FIRE Challenge Info/Kick-off Workout! We are SO FIRED UP for this Challenge! Just in time for the holidays! After a kickin' HIIT 15 workout! We're FIRED up! Here’s the dealio! If you are IN, but haven’t bought your TURBO FIRE from one of us yet, you can go to www.jdkix.com to get it and we’ll add you to the Challenge email list and facebook group. We start this 90-Day Challenge on MONDAY of NEXT week, November 7th! Every SUNDAY you check in with your Coach – beginning on Sunday, Nov. 7th! Every Sunday after that you will check in with your Coach on your weight and also how you are FIRED UP! You may choose to do this additionally on the facebook group page to the whole crew too! We will also have 3 weekend workouts scheduled where we all get together as a huge team (if you are local ) and workout. These are not mandatory but will be super FUN!! Every 30 days you will re-measure and take a new picture….trust me you will be happy you did!! Don’t forget! If you’re LOCAL – Balanced Life Systems in Denver has offered each one of our Challengers a FREE month of classes! WHOA! That was such a cool surprise to me! 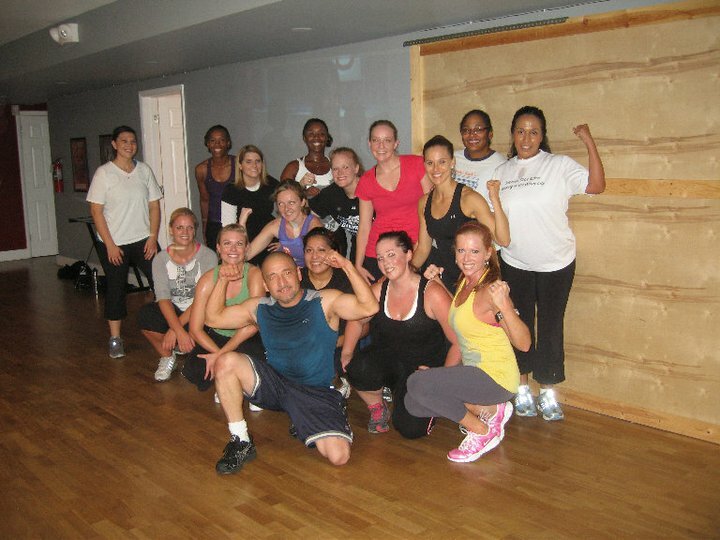 I’d love for you to come to my Turbo Kick class there on Monday nights at 5:30pm this month! They are a super fly crew and I would LOVE for them to see your Turbo energy!!! COMMIT! Commit to Turbo FIRE! Commit to YOURSELF! Commit to your COACH! Commit to EACHOTHER! Check in with your Coach every Sunday! As your Coaching team, we are still working out the additional workouts – but if you have ideas or suggestions – feel free to share them with me and we’ll see how we can possibly incorporate them. I’m SO FIRED UP!!! We’re gonna ROCK this thang!!! October 26th – Turbo Fire 90-Day Challenge Kick-Off with JD, Danelle and Dal! We’re getting ready to kick up our fitness level with Chalene Johnson’s amazing new program called TURBO FIRE! Let me know if I can answer any questions about the program!